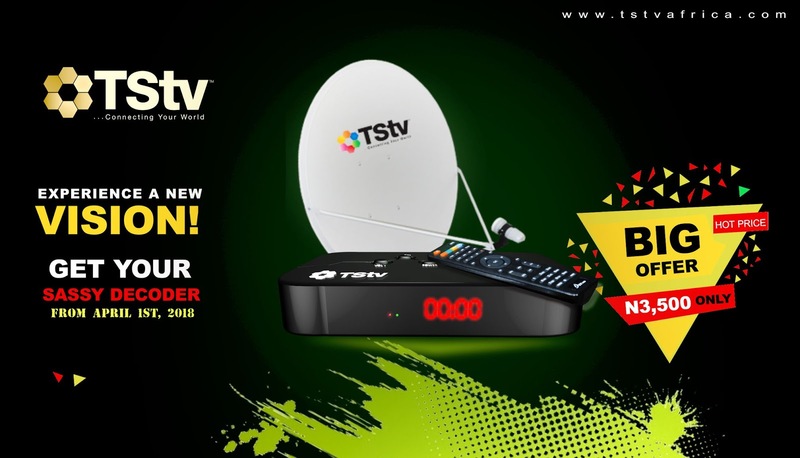 TSTV Decoder goes on Sale on April 1! Home / movies / Tech / TStv / TSTV Decoder goes on Sale on April 1! TSTV has finally announced the date for sales of their decoder and the price. The new TSTV Decoder named “Sassy” is now officially on sale to the public from the 1st of April 2018. 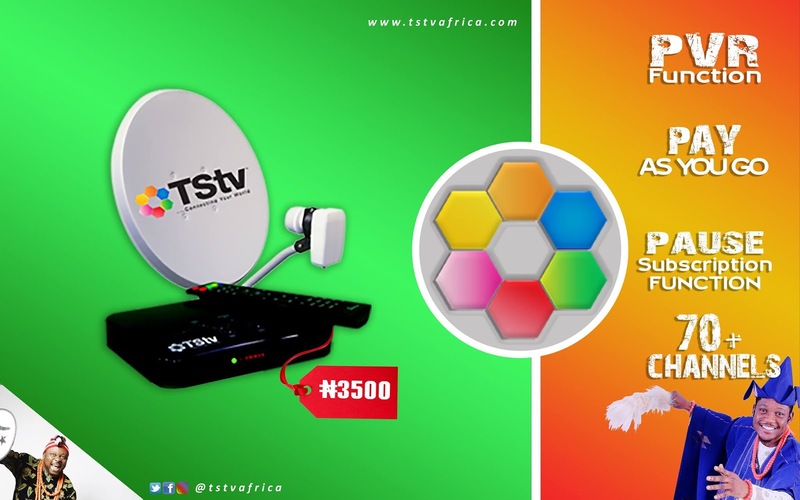 After facing a backlash over delay to offer the TSTV Decoders for sales after the much publicized launched in October 2017, the new Satellite/Cable TV outfit decided to offer free channels to viewers on Free-To-Air dish while undergoing its test transmission last year. So finally, TSTV has officially set April 1, 2018 as the date for massive sales of the new Sassy Decoder. The Sassy Decoder is a strap-down version of the full package, the complete decoder with internet access named "Dexterity" will be launch later. However, the Sassy Decoder still offers premium features like PVR Function, Pay-As-You-Go and Pause Subscription which allows you to extend your subscription when you are not using the services. The TSTV Sassy Decoder is expected to sale for fixed price of N3,500 only. 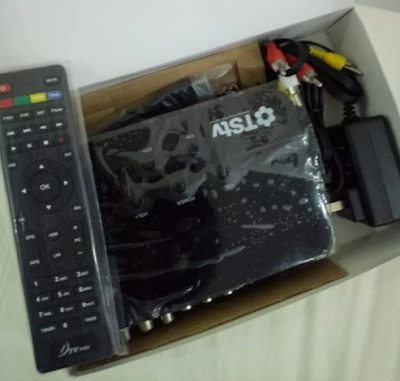 The complete package comes with a Remote Controller, Decoder Box, AC/DC Adapter, Video Cable, Satellite Dish and UF Cable. 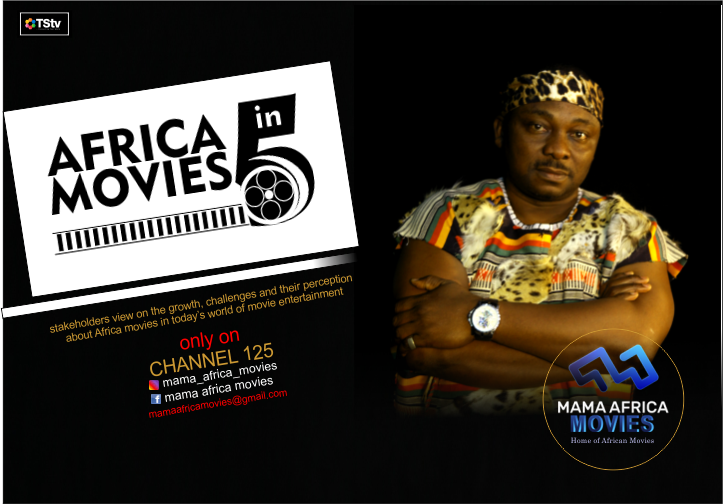 The TStv coverage is nationwide with clear HD signal via the TStv satellite dish set up which beam over 200 Premium Channels including Africa Movie direct to homes. Click to see all channels offered on TSTV Premium Bouquet which goes for N3,000 a month and allows you watch the English Premier League matches and other top European leagues and sports events with Grande sports channels 1 to 7. Locate the nearest TSTV Dealer and get your TSTV Sassy Decoder and Dish for N3,500 only. They are not serious, just made a lot of noise without nothing to show for it.